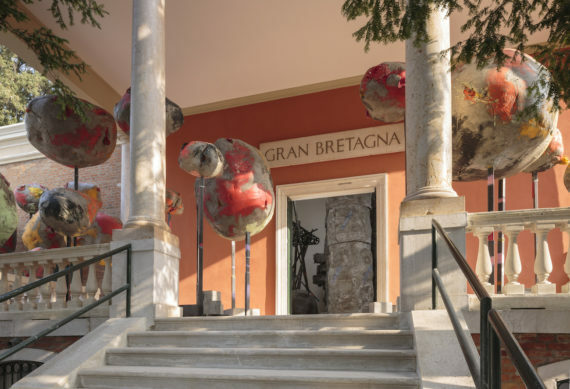 The British artist's commission for this year's British Pavilion at the Venice Biennale is bold, colourful and engulfs the entire site of the pavilion in Venice's Giardini. 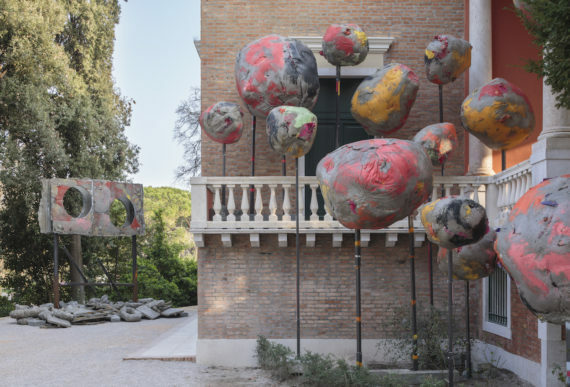 Phyllida Barlow’s commission for the British Pavilion at this year’s Venice Biennale is a typically bold and colourful sculptural installation that engulfs the entire site, disrupting the building’s stiff, neo-classical façade and filling the space with largescale works. 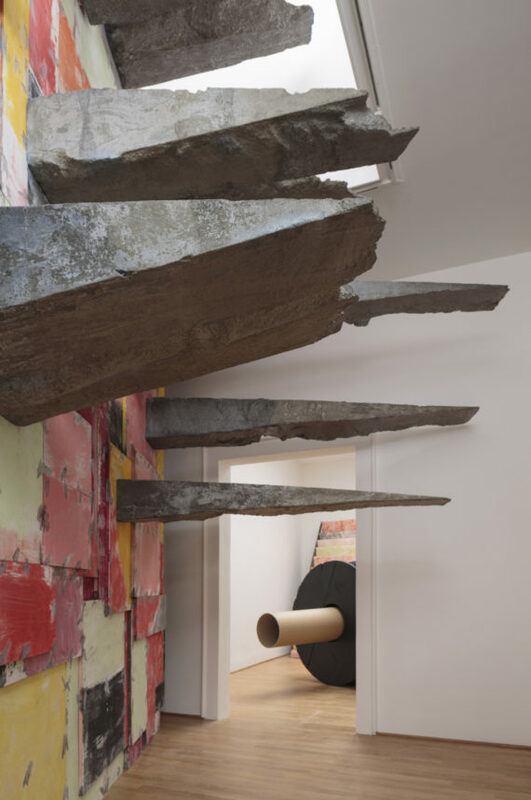 Titled folly, it uses materials such as timber, concrete and fabric to create a theatrical intervention that contrasts the overbearing nature of its numerous imposing, looming structures with the seemingly chaotic fragility of the construction. 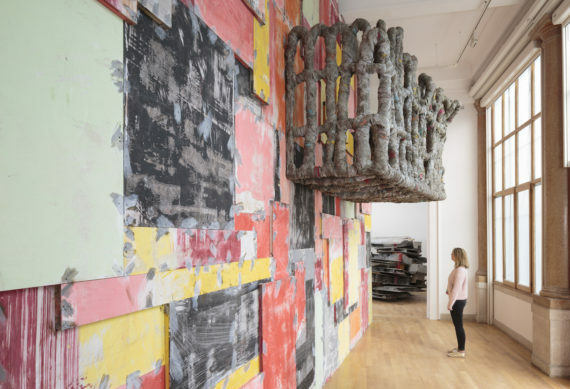 Commenting on the exhibition, Emma Dexter, commissioner of the British Pavilion and director of visual arts at the British Council, said: “Phyllida Barlow has chosen to make a body of work that boldly responds to Venice, to the context of the Biennale and in particular to the Pavilion itself. Beginning with a series of large ‘baubles’ outside the pavilion, inside many of the works resemble familiar objects such as a piano, an anvil, carousel chairs, and a large industrial-style axle. 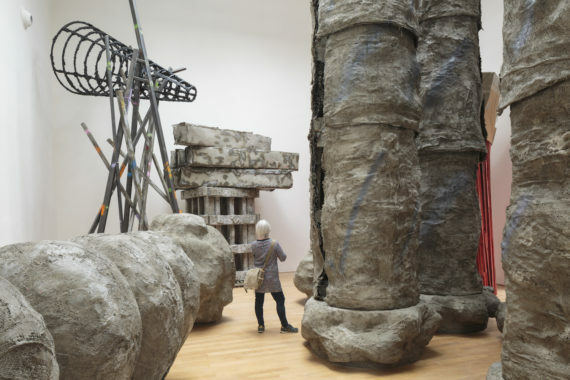 There are also more abstract sculptural forms throughout the exhibition. The British Council has been commissioning artists for the British Pavilion since 1937. 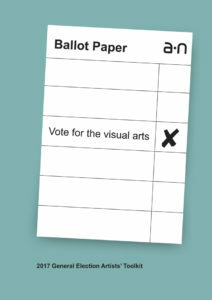 Recent commissions have included Sarah Lucas (2015), Jeremy Deller (2013), Mike Nelson (2011), Steve McQueen (2009) and Tracey Emin (2007). 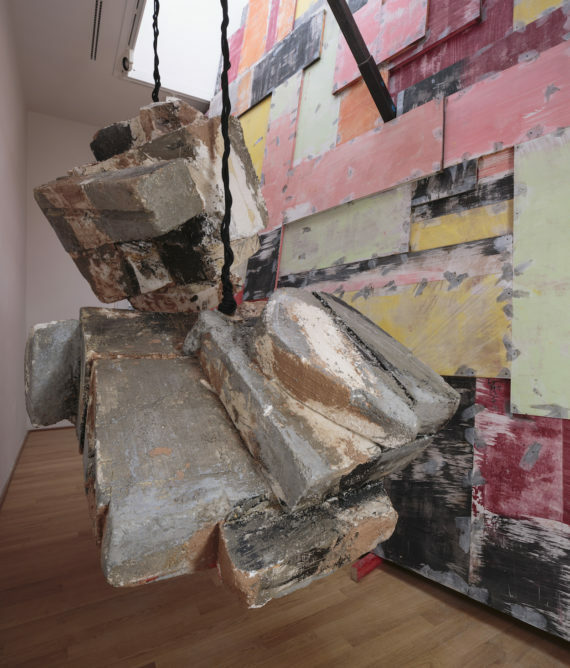 Phyllida Barlow, folly, Installation view, British Pavilion, Venice, 2017. 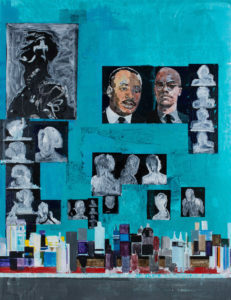 Photo: Ruth Clark © British Council; Courtesy: the artist and Hauser & Wirth.